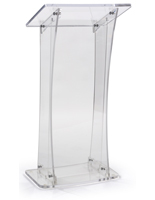 The Plexiglas Curved Podium Lectern comes with a Large Base for Added Stability. The Speakers Stand has 1/2” Thick Frame for a Lasting Display. 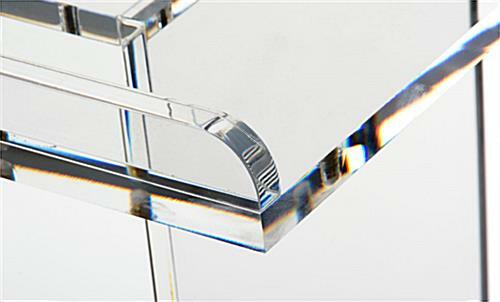 Each Clear Lucite Podium Lectern has (4) Rubber Feet to Protect Floor Surfaces. 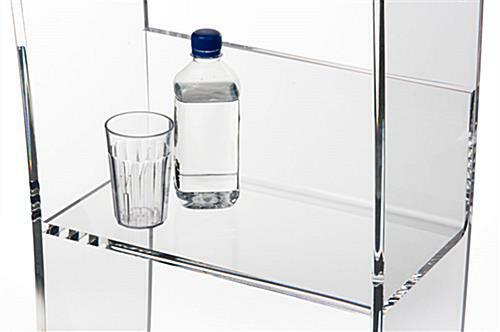 Podium is constructed from clear acrylic for lasting use. 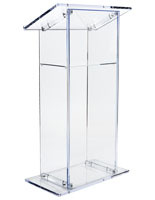 This Lucite podium lectern for presentation, also known as a speaker’s stand, makes a great church or meeting room fixture. The pulpit has 1/2” thick frame for lasting use. 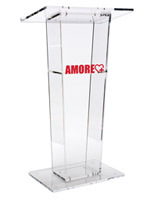 This acrylic podium lectern that is constructed of transparent material is made with durability in mind. The speaker’s stand has a shelf that measures 14-7/8”w x 7-3/4”d. 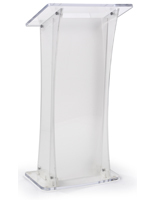 Each acrylic podium lectern that has a shelf can hold small items such as notes or water. The freestanding floor stand comes partially assembled. 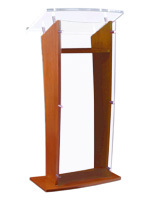 Each Plexiglas podium lectern has all the tools and hardware needed for easily assembly. 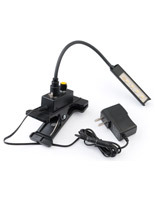 The rostrum comes with a cleaning cloth for quickly removing fingerprints or dust. 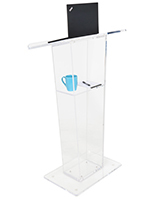 The presentation floor stand, simple Lucite podium lectern is the ideal height for using as a speakers stand at the next church meeting. The rostrum display is completely clear for a contemporary look. 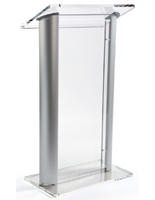 Each tall acrylic podium lectern has a wide base for added stability. The stands base has a footprint of 23-5/8”w x 15-3/4”d. 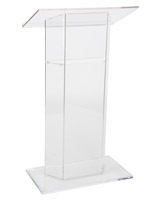 This speaker’s acrylic podium lectern has a large reading surface for plenty of room for notes and other presentation supplies. The stand’s reading surface is 23-5/8”w x 15-3/4”d. 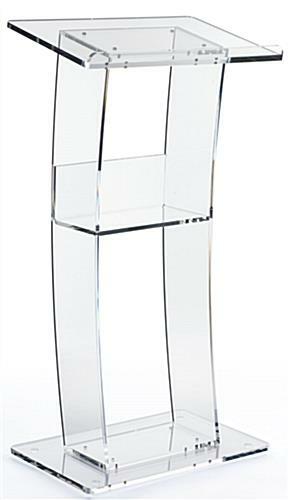 The modern Lucite podium lectern has a front lip that is 1” tall for securing any items on the slanted shelf. 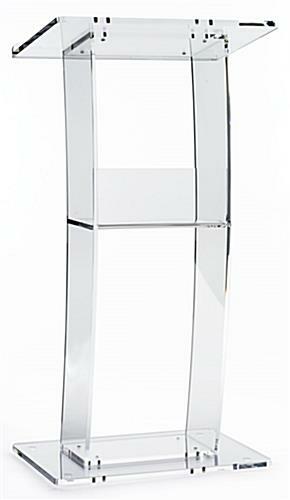 The curved design of this stand gives the display an architectural appeal. 45.8" x 23.6" x 15.8"